Household bleaches are a part of everyday life and can be found in nearly every home, often in more than one form. There are two main classes of household bleach: chlorine bleaches and non-chlorine bleaches. All of these bleaches are in a class of chemicals known as oxidative agents, meaning that they cause a chemical reaction called oxidation when they come into contact with certain germs or other organisms, certain stains, and sometimes clothing dyes. Bleach is commonly used as a disinfectant, stain remover, and to whiten laundry. Although bleach is a popular product it is known to cause headaches, vomiting, respiratory issues, skin burns, and agitate asthma sufferers. There are many products on the market that are alternatives to disinfectant bleach. The issue is that most of these products still contain chemicals and toxins that are harmful to your health. So what can you use as an alternative to bleach and other chemical containing commercial disinfectant. Turns out you may already have products on hand in your home to create your own safe disinfectant. 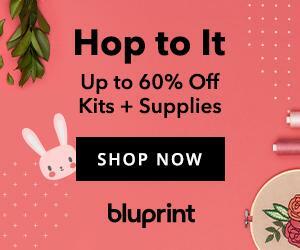 Products such as fresh or dried herbs, essential oils, lemons, vinegar and other basic items. These products will not only fight germs and bacteria, but most also smell a lot fresher too instead of stinkiy and strong. 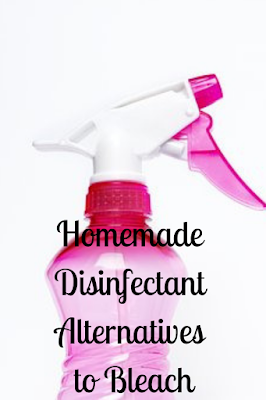 Here are ten homemade disinfectant alternatives to bleach. Using a large mason jar or similar size glass bottle fill halfway with fresh or dry herbs such as mint, rosemary, lavender buds and fill the other half with apple cider vinegar. Seal the jar or bottle and place in a sunny window. This will allow the mixture to infuse. After six weeks have passed, strain the mixture and then it is ready to be used. Maybe the easiest one of all to make. In a spray blottle, mix in equal parts water and vinegar. Spray surface. In a large clean bowl, add 4 cups of hot water, ¼ cup white vinegar, and 2 tablespoons of baking soda. Mix well until the baking soda dissolves, then cut a lemon in half and squeeze both halves into the solution. Drop the lemon rinds into the mixture and leave it to cool. Once cooled, add 4 drops of an essential oil of your choice. Strain the mixture to remove any lemon pulp, rind, or seeds then pour it into a spray bottle. In a spray bottle add in 1 cup water, 1 cup vinegar, 5 drops grapefruit seed extract, a drop of castile soap and 10 drops of lemon essential oil and mix. Fill one third of a large jar with cirus peels such as lemons, limes, oranges, and grapefruits and add vinegar to cover the peels. Store and allow the mixture to infuse for four to six weeks. Shake the far occasionally to allow mixture to infuse well. Once the mixture has sat for its time, strain and fill a spray bottle with ¼ of the infused vinegar. Fill the rest of the spary bottle with water. Fill a spray bottle with ¼ full with equal parts tea tree essential oil and lavender essential oil. Fill the rest of the bottle with water. Before each use, shake the bottle well. In a spray bottle, mix in 1 teaspoon of rosemary essential oil with 2 cups of water. In a spray bottle, add in 3 cups of water, ¼ cup of hydrogen peroxide, 2 tablespoons of fresh sqeezed lemon juice, and 10 drops of tea tree essential oil. In a medium size pot add 2 and 1/2 cups of water and boil. Add in 1 handful of fresh or dried thyme cover. Simmer for several hours over medium-low heat. 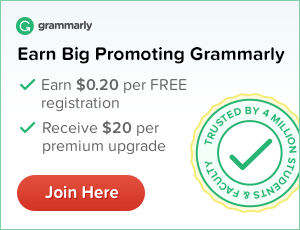 Allow to cool and then strain. Pour the liquid into a spray bottle, top with white vinegar and add a squirt of liquid castile soap. In a spray bottle add one cup of water and 20 drops of lavender essential oil. 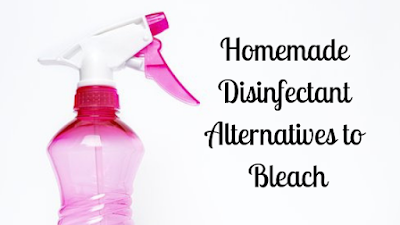 Do you have any homemade disinfectant alternatives to bleach?